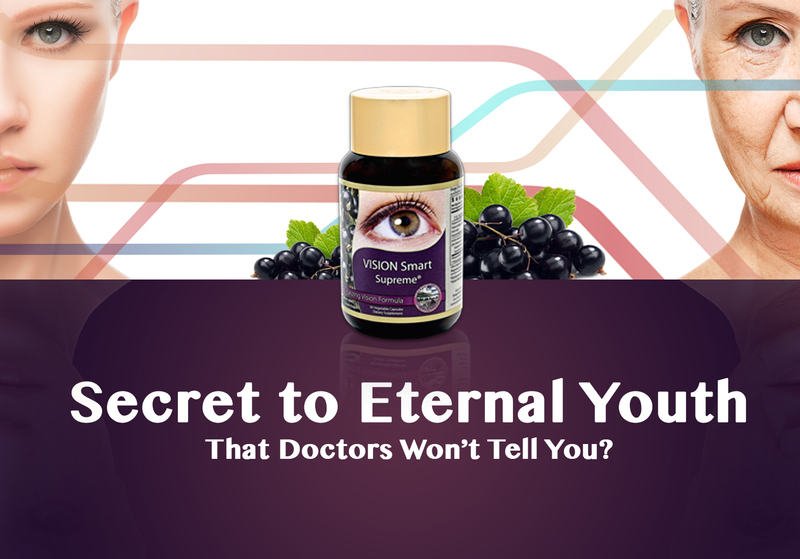 Want to Know the Secret to Eternal Youth That Doctors Won’t Tell You? As many already know, when we reach the age of 40, our body begin break down, whether we like it or not. One of the reasons why after age 40 we rapidly run into the increased presence of “Ghost Blood Vessels” causing unconsciously the rapid decline in health and beauty starting from age 40. A long chain networks of human capillaries vessels keeping your body younger will deteriorate by the decrease of 40% with aging sharply from age 40 to age 60 in your body. In order to keep the blood vessel strong and preventing it from become a Ghost Blood Vessel, the proper secretion of blood vessel rejuvenating hormone. As we age, the secretion of these important hormones decreases. Blackcurrant Anthocyanins act to stimulate the secretion of natural hormones. Combined with light exercise and proper rest, these habits will support to regain energy, body organ rejuvenation, and stronger immune power just by reducing the appearance of Ghost Blood Vessels. Put Vision Smart Supreme Into Your Daily Diet Helps Prevent Silent But Abrupt Aging Process! By taking two capsules daily, you provide 210mg of unique and potent Blackcurrant Anthocyanin your body desperately needs to help with the repairs to the capillaries. This amount of Blackcurrant Anthocyanins cannot be obtained from any plant, vegetable and fruits currently marked in the world food and supplement markets.